It seem that two of my bass gods finally get themselves some high-profile gig recently..
1. 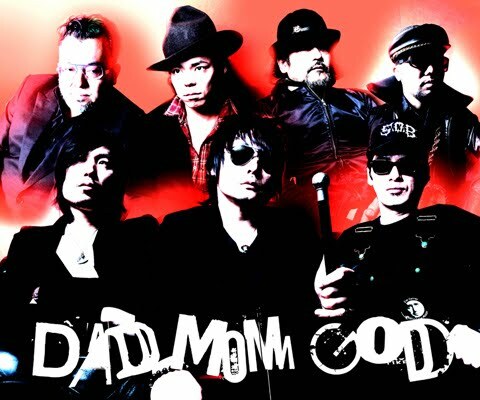 Ueno Koji( ex-TMGE, Radio Caroline), current bassist for the Hiatus and Muto Syohei solo project has join the band 'DAD MOM GOD'. It is a solo project from ex-TSPO Tatsuyuki Hiyamuta which featuring many veterans of Japanese rock scene like Junji Ikehata(Rock n Roll Gypsies), Masaki Mori (EGO-WRAPPIN’), and Dub Zombi (SOIL & “PIMP” SESSIONS). This might be a shortlived side project though, as Tatsuyuki Hiyamuta is currently..how do you say this.. only on hiatus from TSPO. He is focusing on recovering his leg injury that he got couple of years back in a Thailand car accident. 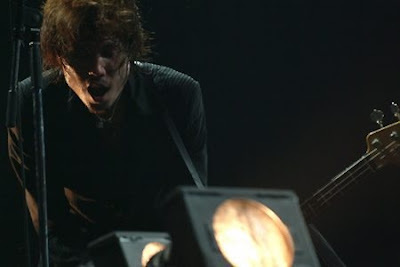 Due to heavy local and worldwide touring schedule of TSPO, his leg never fully recovered. The band's debut album 'Poem Like a Gun'-produced by Asai Kenichi's Sexystones Record-sound a bit like TSPO familiar territory of highly energetic ska-rock-jazz. But with lesser member, the band's sounds appear less messy, simpler and more focused. "No one try to do something, anyway!!" 2. Terui Teshuyuki( ex-BJC, Rosso) is finally reunited with his old comrade-in-arm Asai Kenichi in a new band The Pontiacs. Thats right people, 2/3 of Blankey Jet City creative muscle once again resurrected from the depth of Hades to blow our mind with their destructive Rock n Roll tunes. WAHAHAHAHA!! !Okay..thats a bit overdramatic. Unfortunately the band currently only produced one single-'Galaxy Head Meeting'- and I cant get my filthy-downloading-hand on them yet, so you guys just gonna have to wait. "Do you ever wonder what you're doing with your life? Do you ever lay awake at night, and stare at the stars with your headphones on? Do you ever feel like you can do more with your life, and the rules are holding you back? If you wake up for your 9-5 just to come back home for beer and TV, then The Pontiacs are not talking to you. The curve of the guitar body, the faded polish of the neck, the hum of the tube amp, the rattle of fingers sliding down the neck, the vibration of the kick drum hitting your chest, the glisten of sweat off the mic., the intense stare of three musicians losts in sound. These are....The Pontiacs." Is Hiyamuta really only on hiatus? I saw the farewell message in 2008, and not being able to read Japanese and resorting to using Google, I got the feeling that he was only on hiatus from making music, which doesn't necessarily mean he'll be back with TSPO. Regardless, I liked the DAD MOM GOD album, and even if Hiyamuta does rejoin TSPO, I hope the project continues. Well I think(hope actually) his hiatus is only temporary. 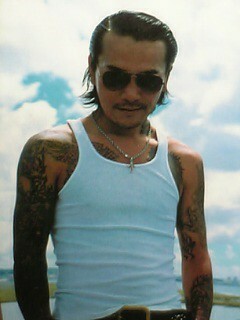 He is a founding member after all, and the only founders thats left TSPO is Asa-Chang and the original vocalist(dead). His role as an agitate-man is actually very2 vital, and TSPO albums post-Hiyamuta really lacking that special something you know. However we also need to consider the severeness of his leg injury and also his age. Man that old, his health is probably a better long-term option. I also hope he will continue DMG, with Ueno in it. I really need to hear his bassline! Oh no doubt, I really want Hiyamuta to come back to TSPO. Paradise Blue was a decent album, but World Ska Symphony definitely could have used some of the edginess that Hiyamuta brought. I'm just wondering about the "hiatus from TSPO bit" cause Wikipedia has something similar ("expressing interest in coming back once he recovers"), because I'm hoping it's true! If you're going to be playing TSPO songs in DMG, might as well do it with the original too. And he may be old, but most (if not all) the older members of TSPO must be 40 nearing 50 already! Come back Hiyamuta! But continue DMG! haha.